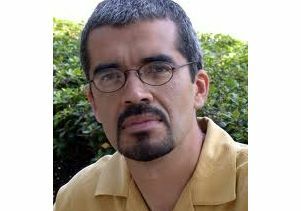 Alvaro Huerta, a UCLA visiting scholar at the Chicano Studies Research Center, is the author of a forthcoming book, "How the Other Half Gets Scapegoated: Immigrants and the Working Poor in the U.S." This op-ed appeared originally in the Bradenton Herald on March 15, 2013. The time has arrived for President Obama and Congress to take immediate action on comprehensive, humane immigration reform. By immigration reform, I am not talking about militarizing our borders, empowering employers to behave as immigration enforcement officials and imposing fines and back taxes on aspiring citizens. Instead, I am talking about allowing labor to cross our borders as transnational capital does, preventing employers from exploiting immigrant laborers and lowering application costs for future citizens. Too often, when Democratic and Republican leaders speak about comprehensive immigration reform, their message mainly centers on enforcement-dominated policies. For instance, while Obama spoke eloquently about immigrants in his second inaugural address, his administration has deported more immigrants than that of his predecessor, President Bush, during the same time period. As the Obama administration continues to separate hardworking immigrants from their families and friends, I find it hard to believe the president when he says, "Our journey is not complete until we find a better way to welcome the striving, hopeful immigrants who still see America as a land of opportunity." I don't find the deportation of more than 1.6 million undocumented immigrants during Obama's first term in office as "welcoming." Moreover, given that Republican leaders remain hostile and pay only lip service to Latinos and immigrants in this country, it's incumbent on Obama and Democratic leaders to invest the necessary political capital for the benefit of the estimated 11 million undocumented immigrants in this country. Instead of dehumanizing and blaming recent immigrants for America's financial woes like the GOP, Obama and Democratic leaders should demand that Latino immigrants be treated with dignity, respect and tolerance. More specifically, Democratic leaders should educate and convince the public about the pivotal role undocumented immigrants play in America's social and economic prosperity, highlighting key characteristics like their willingness to sacrifice themselves for their families, a strong work ethic and an entrepreneurial bent. In developing a humane immigration reform policy, both Democrats and Republicans should learn from past immigrant policies with progressive elements. This includes the Immigration and Nationality Act of 1965, where immigrants from Latin America, Asia and Africa benefited from family reunification components of the law. This also includes the Immigration Reform and Control Act of 1986, where almost 3 million immigrants qualified for amnesty. Republican leaders should learn from their iconic figure, President Reagan, who signed this legislation into law. Instead of doing what's right in both moral and economic terms by proposing another amnesty plan, a recent bipartisan group of senators, also known as the Senate "Gang of Eight," introduced a regressive, comprehensive immigration reform proposal. It includes a so-called pathway to citizenship for qualified undocumented immigrants. But it mainly focuses on punitive measures, such as a border-enforcement prerequisite before granting citizenship, imposing fines and back taxes, deputizing employers to become more effective immigration enforcement officials and creating an exploitable labor pool of guest workers, like the Bracero Program of the mid-20th century — a program that my father, Salomon Huerta Sr., participated in under inhumane working conditions. In short, there's only one humane and simple plan for the estimated 11 million undocumented immigrants in this country: amnesty.Let's get over the hostility to the term, and welcome the people who have been working in the shadows.